“I want these ones Mom!” “Dad, all the kids in my class have this kind!” “These are what all the players are wearing!” Do these statements sound familiar when shoe shopping with your kids? Picking out the right shoes for your kids can be a difficult task, but are you making the decision based on their foot health? Measure your child’s feet when they are standing and buy for the larger foot. There should be about an inch of space from their toes to the end of the shoe. The heel at the back of the shoe should be firm and the sole slightly flexible at the ball of the foot. Have your child walk around for a bit in the store. Shoes should be comfortable from the start. The laces or Velcro straps should hold their feet in place so they don’t slide forward. 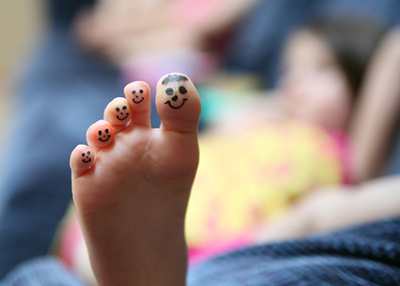 Children’s feet typically grow one to two sizes a year, so measure feet often and replace shoes when they need to be. If you need help finding shoes that are right for your child or you are noticing symptoms that are of concern, please contact our podiatric office today. You can call our Dallas, TX office (972) 566-7474 or Plano, TX (972) 943-3323.